My name is Mark Steven Barondess. I had my last drink on Tuesday, September 12, 1978. Within three days I launched myself into Alcoholics Anonymous. It took me about nine years to get my brains out of hock & unscramble them. Today, I have a bit of a thinking problem, but I don’t leave it at that. I have a reference point for sanity & a program of recovery; the principles of Alcoholics Anonymous. I have attended A.A. meetings in about half the states in the country, tin shacks dirt floors in the hinterlands & cities of Mexico as well as bomb shelters in Israel. My primary purpose is to stay sober & help another alcoholic achieve sobriety. It’s the first drink or drug that’s going to do me in & that’s the one I have to stay away from. Alcoholics Anonymous is a great U.S.A. product! I love this sober living! The adventure continues!! 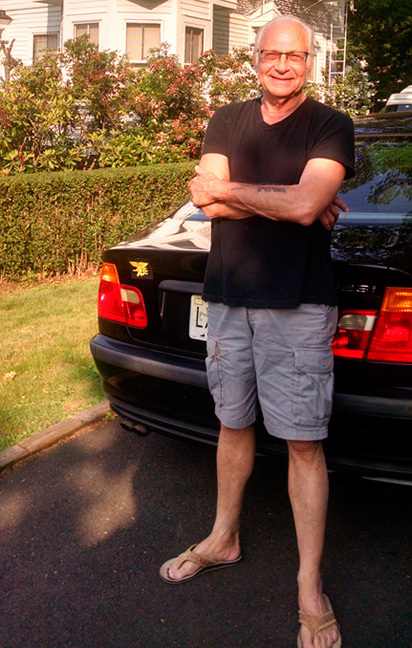 “Mark Steven Barondess’ writings are clear and very helpful to people for a better understanding of addictions and treatment. 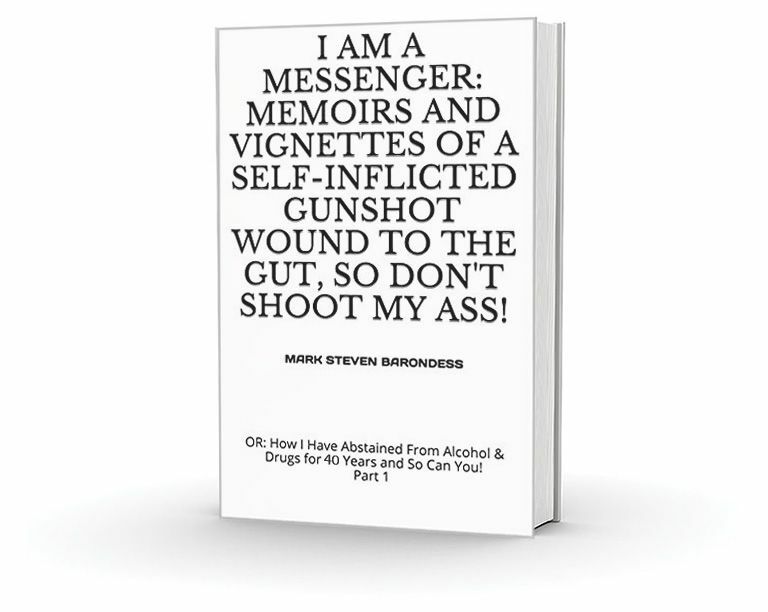 The book “I Am A Messenger… is written in a unique and impactful style. I strongly recommend this book!” – Janie H.
“I find this book to be hilarious/well written and informative.” – Maurice S.
“Mark is a truth teller.” – Ray S.
You'll be able to pay with either your PayPal account or credit card or debit card.